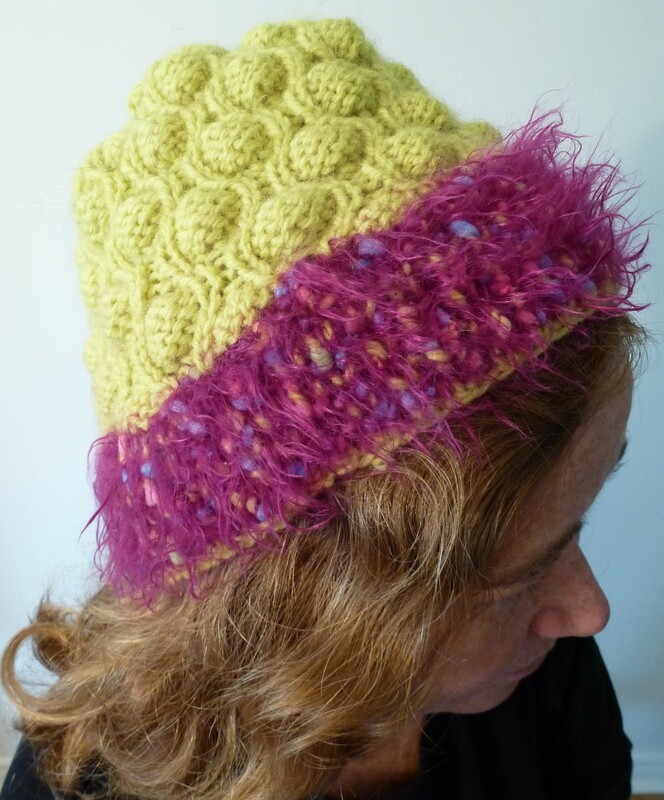 As I was leaving the Ottawa Knitters Guild meeting one night, someone was knitting with the fuchsia yarn in this hat. I commented that I thought it was nice. She said something like ‘here take it…I don’t like it and I was going to throw it out’. 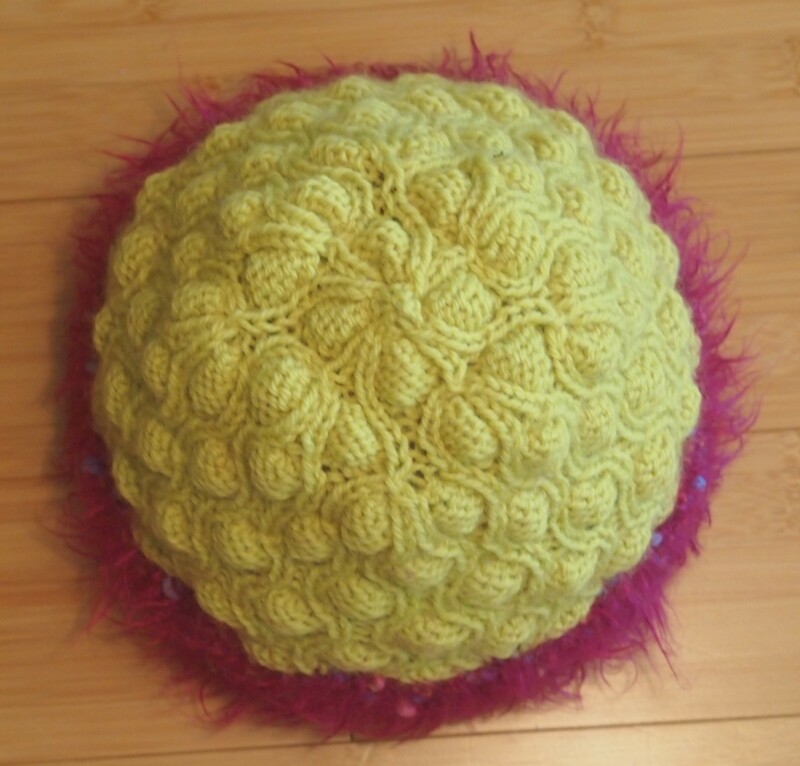 I came home and started making this hat. The next day my oldest sister, Jane, came to visit. She watched the hat grow and when it was finished, she said (in a surprised voice)…’that’s actually not an unpleasant hat’….high praise, indeed..be still my heart! This entry was posted in novelty yarn and tagged hat, knitted hat, knitting, Knitting and Crochet, Ottawa Knitting Guild on November 6, 2013 by gillianknitter.